I had been looking for My place in the World for quite sometime, and wandering around I ended up in Huacalera, I don’t know what it was or what happened but seeing the town and falling in love with its teeny-tiny streets, the river and the people was one and the same force, destiny touched me and as if unmindfully guided me to Campo Morado. When I saw the house I knew this was it, this was the place I wanted to be in. 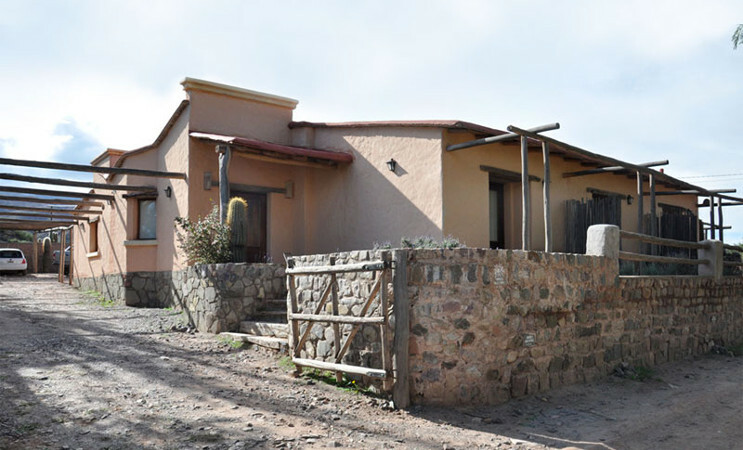 Everything else was a matter of minor circumstances, I sold my house in Metán, Salta, and we moved into our new home. Once there we named the different rooms of the house after each one of my five kids and with time it became what it is today, or what I hope it became, say a warm familiar dwelling open to travellers wishing to spend quiet days, wrapped up by beautiful Nature and where the main goal is to make them feel better than even at their own homes. My staff and I are looking forward to meeting you.